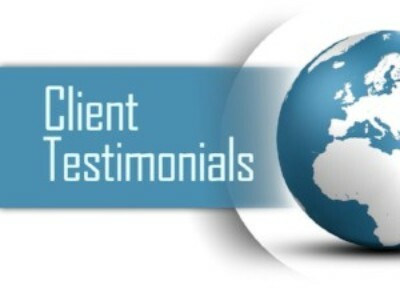 IF YOU HAVE ANY FEEDBACK OR A TESTIMONIAL WE WOULD LIKE TO HEAR FROM YOU. JUST CLICK HERE TO SUBMIT YOUR PSYCHIC CHRISTOPHER GOLDEN REVIEWS. Please indicate that we have your permission to publish your review. We will not include your last name or any identifying information. Thank you. Psychic Christopher Golden is the one person I can trust to talk to about anything and he has never steered me wrong. I want to give him the best praise and the highest recommendation possible. I went through a bad divorce, then finally met the woman whom I really love. We had problems and she broke up with me. I tried Chris Golden and he was able to bring her back to me. We've been going strong now for 10 weeks, so I'm leaving a nice review. I was not looking for a psychic when I found Chris. Instead I read a bunch of articles on how to fix a broken relationship. Then I started doing Google searches and was amazed to find out how many people go to psychics for this stuff. So, I called a few of them and ended up talking to Chris (I had to make an appointment a few days out though). The other psychics were kind of just trying to push my emotional buttons. The articles were giving general advice that did not fit my situation. But Chris told me things that were exactly right on target. Spot on. Then he had really good advice. He followed up with me to see how things were going and I was happy to report that I think he helped me fix what was broken. So, although I never thought I'd send a review to a psychic, he gets my full endorsement. Chris was able to see all of the important things that were missing from my relationship and to show me how to put those things back in. And now I feel like my marriage is stable again. Had a really awesome conversation with Christopher. I've spoken to psychics before, but never anyone who was as on point as he was. Amazing experience. Really understood what I was going through and accurately saw what was coming up and how I should deal with it. I'm amazed. Funny thing: I asked him how can I show my thanks and he said email him a positive review. I appreciate the honesty so here it is my positive review about an awesome psychic reader. Will be going back to this psychic healer again and again. Much more helpful than a therapist, with faster results and overall less cost. When I run dry, Christopher is the well I return to. I feel so good about how I am starting the new year. Thanks to Christopher I left 2014 leaving a whole lot of baggage behind. I am a new person now with a new love and new hope. If you can afford it, I recommend him! Chris is expensive but really good. Like as in really, really good. I would recommend him to anyone who is looking to get your ex back. I know some people think that's pathetic, but I don't care. I am made whole again. The right psychic at the right time for me. I am wrapping up the new year with a new love and I owe it all to Psychic Christopher Golden. Expensive and worth it. Highly and strongly recommend for anyone who is trying to save a relationship that falls apart. I bought some books on how to get your ex back and also spent a lot on love spells. I was at the end of my rope. Then I found Chris. He explained the metaphysics of how a closed heart can open and he fixed things for me. I really cannot say enough about how much Psychic Christopher Golden has helped me to achieve the relationship goals I have in my life. I went from having an on-again-off-again relationship with someone I truly love to something more permanent and fulfilling. Christopher is the real deal. What else can I say? He helped me to get my marriage back on track. I am beyond grateful for that. Best Spiritual Adviser ever. Chris changed my point of view, my state of consciousness, my trajectory and therefore my life. Those are the exact words he used, when he first contacted me. I had a positive experience with Psychic Christopher Golden. I'm giving Christopher high marks because of the following: Although I had to wait 4 days to get a session with him, when we did finally talk he answered questions and gave me the guidance I was looking for. He helped me get out of a really bad situation and into a really good situation. I never really expected a psychic to do that to be honest. I had my doubts. But when we talked on the phone he knew exactly what was going on. Christopher is by far the best psychic I have ever been to. However, I wish he didn't charge so much and that I did not have to wait almost a week to get a reading with him. Still worth the trouble. It's wonderful isn't it! Now everyone can have a chance to have access to Christopher. Personally for me he has helped me to stay positive and defer so many roadblocks in my life. Highly recommend if you need some intervention in your life. Chris is an amazing psychic and healer who tells it like it is. He provides clarity on relationships and if that is what you need then this is your guy. I was in a very confusing situation where I had to choose between two people whom I cared about. One I had history with and the other I felt something really special. Psychic Christopher Golden was able to help me discover what was truly in my heart and show me how to make the right moves to fulfill that. I feel he gave me better guidance than my friends of my therapist could. I know I made the right decision because of him and I really appreciate Chris. After talking to you I took your advice and things got better. I'm going to call you again. I found your advice to be very helpful and I think you solved my problem - I had been having with my relationship. Chris you helped me to get my ex back through a combination of really good advice, psychic predictions, mind reading and some really incredible metaphysical "Energy Work" and "Karma Work". I am a believer. I feel like not only did I get my ex back, by following what you had done for me, but I also broke a lifelong cycle once and for all. I just wanted to take a quick moment to say that the Christopher has turned my life around. I was really in a rut about some stuff and he gave me great advice. He also showed me how to get over my depression and get back out there and find some happiness. So, I love you Psychic Christopher Golden. You helped me make it all happen. Christopher saved me, totally saved me. I can't explain it but I'm trying. He's a holy man to me. He can read thoughts and feel your feelings. He can change how you feel and visit you in your dreams. He can use kundalini energy to change your consciousness. I've never met an enlightened being like Psychic Christopher Golden before. I wonder if there are more like him. He saved me. I have clarity now and my problems are all solved. Chris is the only psychic I have spoken to who does not speak in vague generalities and actually knows what's going on. He has a genuine psychic ability. I trust what he says and I feel I can count on it. He's now come through for me enough times that I feel comfortable sending this testimonial. 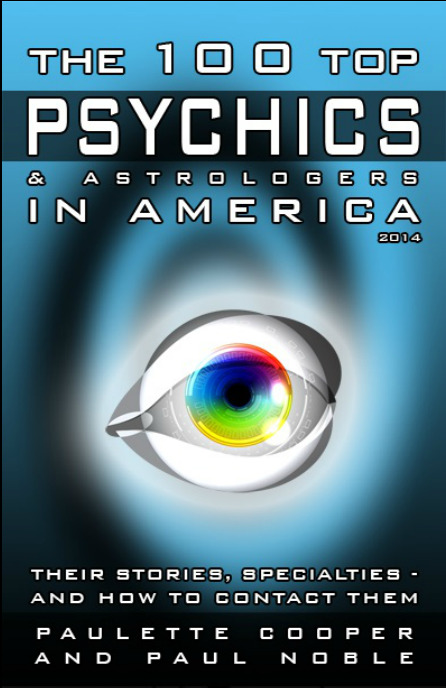 Psychic Christopher Golden is the best psychic online, at any price. He knows things. He saw things coming and told me what to do. My life is better now because of him. It was one of my best decisions to choose Christopher as my Psychic Healer. His helpful guide lead me to live a better life. He's so friendly and experienced. Chris always listened to me so attentively and give me his great suggestions to follow. I will recommend Chris to all. Psychic Christopher Golden is a blessing. I feel blessed to have met him and to call him my psychic. His karma work did wonders for my relationships, and I am happier in love now than I ever have been. He is open, honest, and easy to talk to. Very happy. I have been speaking to Chris on a monthly basis for nearly four months. He is a great listener and is very down to earth. I feel very connected to him when we talk. I always look forward to our talks, because I learn something new and he is so insightful. His psychic accuracy is phenomenal. Chris is the most down to earth psychic I met. It is hard to believe that such a nice guy has such far reaching talents as mind reading and the ability to help others get their ex back. I enjoy talking to him a lot and I consider him a friend as well as my psychic. I am new to the world of psychics, and a friend recommended Christopher to me as the best adviser to talk to. I had one call with him, to ask him for some relationship advice. He is a very nice guy to talk to, and he was able to tell me a lot of interesting things. I was pretty amazed at how much he knew. I am impressed with Chris so far. I had one 20 minute phone call with him, and he gave me some homework that I am working on right now. I felt good after talking to him, and I feel like my situation is improving already. I have another call with him in two weeks, and I can't wait. I was a skeptic and Christopher made me a believer. Normally I would never go to a psychic, but my friend saw the difficult time I was going through after breaking up with my girlfriend, and told me Chris could help. The first time I talked to Chris I was still skeptical, but I followed his steps anyway. I figured I had nothing to lose. To my surprise, following his steps worked. We got back together after she called me and wanted to see me again. Psychic Christopher Golden wowed me with his psychic skills. He is such a down to earth guy, and at the same time, he has these amazing abilities that just blow you away. I don't know how he does it. I needed relationship advice and that is not something I would normally go to a psychic for, but I didn't know where else to turn. I am really happy that I chose him - he put me at ease and guided me toward the solution that I needed. I have spoken to Christopher three times now on the phone (30 minutes each time), and every time we talk I learn something new and am elevated to a new level in my thinking. I have mainly been asking Chris for career advice, and how to get a promotion. I have been following his advice exactly, and I have a promotion coming. First time caller and I feel really great about what Christopher had to say!! It was almost too good to be true because the time line he gave me for my ex and I to get back together is between the 21st and the 31st of this month. Christopher also said that ex is gonna make up an excuse to talk to me on Wed or Thurs of this week and is going to start opening up to me more about some pain from his childhood. Thanks Chris! Grab the phone and setup your reading today people you will not regret it very insightful! It was great to speak with Christopher as I wanted a male perspective on my current situation. 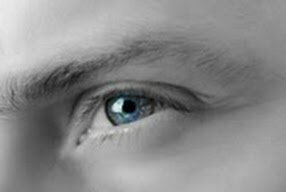 Straightforward, and accurate in his awareness of details concerning my issue, Psychic Christopher Golden was a joy to speak with. I'm looking forward to the upcoming months ahead according to the predictions that he gave me. If you're wondering where to turn and need genuine guidance and support, give Chris a call. Christopher has been life changing for me!! He did in 20 minutes what probably takes years of counseling for people. He helped me identify my thoughts and where they are rooted. I have had the most freeing week in my life, since talking with him. I no longer have to deal with the self-condemnation and doubt. I am able to trust in Christopher that he has the answers for me in with my upcoming move from California to Arizona. Back in 2010 I went through a really horrible, long, drawn out, painful divorce. A friend of mine referred me to Chris just for fun, to see if there was going to be someone new in my future. I didn't feel ready for that yet. But I finally caved and called him anyway. Here we are 5 years later and I'm leaving a review. During those 5 years Chris has been the one person who I can tell everything to and the only person that I can trust 100 percent. All of his psychic predictions have come true. I read somewhere else where someone said they felt like Chris was their secret weapon. Well that's how I feel too. He has made my life so much better, just totally turned me around in every way. I'm so grateful to you Chris. I've been working with Christopher as my psychic advisor for about 6 or 7 months now. During that time I have completely transformed as person and matured spiritually. He has helped through the hardest time in my life. His wisdom and compassion almost make me cry when I think about it. I was trying to keep the faith in the beginning, but what he was trying to help me with at one point just seemed impossible. And then it all happened and I'm so grateful to this wonderful spiritual being. Psychic Christopher Golden is gentle and kind. I call him often and he guides me. I have recently come out of the darkest time in my life. He showed me the way back to the light. He showed me how to put all of my intention to be in alignment with the light. I now have the tools I need to find my way back when I need to. I will always have this. Thank you Chris. Not what I expected at all. He was totally spot on about my past and present. We shall see about the future. But he also tuned into a lot of emotional stuff I'm going through. I ended up crying a lot during the reading, but Chris was really nice and caring. I felt better after talking to him and everything was in perspective. I want to call again because he's making me see things I think I've been avoiding for my whole life and I want to be happy. Christopher is like a really good friend, but one who knows the future. I can tell him anything like things I have never told anyone. He does not judge me and he helps me to laugh at the things I take too seriously. He is my spiritual teacher and my guide. I have so much respect for him and if anything ever happened to him I don't know what I'd do. He has helped me get my act together and become a happier person. And for that I am most grateful. Chris is the man. I'm currently working with him and he has helped me in ways that I'll never ever really be able to repay. If it wasn't for him, I would still be stuck in the same black hole that I was familiar with for most of my romantic life. His work always shows some kind of immediate result, while still progressing towards the end goal. His demeanor is extremely calming and refreshing, making him somewhat addictive! Highly professional and understanding as well. He truly wants to help and it shows through in everything he does in both his actions and words. As for his accuracy, it is 101% on point. I've been to several psychics before him, and while they were good, none are comparable to him. He is to the psychic world, what Kobe or Lebron is to basketball or what Madonna or Michael Jackson is to music. It really scares me to think how my life might have been without all of the help Chris has provided, and if I had friends or family that were open to psychics then I would recommend him without a doubt. When speaking with Christopher you get a sense that he is very in the moment. I can almost feel him getting psychic hits. He can see deeply into things and tell you what is going on beneath the surface. I really appreciate that and have come to rely on him for his insight. Still wrapping my head around it, but the readings I got from him changed the way I look at life. I feel I would not have gotten my ex back had it not been for the advice and guidance given to me by this psychic. He is very personable, not judging, kind, wise and of course very accurate on all of the psychic stuff. I would recommend him to anyone who is having a crisis, especially if that crisis has to do with restoring a relationship. I got a hold of Chris and we ended up speaking for only a few minutes, since that was all I could afford. And I must say that he packed lot of into those few minutes. And he was kind enough to email me afterwards and recap what we had discussed and what advice he had for me. I do not cry easily, but I nearly broke into tears at how generous he was and how helpful his guidance has been. Big props for Chris. THANK YOU !!! I spoke to Psychic Christopher Golden this morning for about 45 minutes. Wow! He knew so much about his history and feelings without me saying anything. He also knew what I was dealing with right now and what I need to do about it. I consider that time well spent and I wanted to leave him a nice testimonial where people will see it. I spoke to Chris for about 30 minutes. He was able to answer all of my questions and he gave me some really good advice. The only complaint is that I could not talk to him instantly, like on a hotline. I had to use an online calendar and schedule something. Other than that he was great. I needed some guidance when it came to romance. Chris was very helpful in showing me how to reconstruct something that had fallen apart. I wish I had gone to him first rather than wasting so much money on useless love spells. Each time I get to speak with Christopher I feel so much better. He has so much wisdom. When he tells me what to expect in the days to come, it always comes to pass. He knows what he is talking about and he knows what he's doing. I spoke to Christopher for a half an hour. He knew things no one else knows about me. Chris was able to see my past and present, not just my future. I was pretty amazed. I feel intuitively that the advice he gave me about my future is right, because it confirms what I had been feeling in my heart. I feel better knowing he is there. He is easy to talk to, personable but also very wise and understanding. Happy to have met you, Christopher!!! Psychic Christopher Golden was able to reunite me with my ex and for that I am very grateful. Trustworthy. Loyal. Compassionate & Kind. I got much more than a psychic with Psychic Christopher Golden. A very enlightening conversation. I look forward to more time with Christopher. He personifies the meaning of a Clairvoyant which is a "clear seer" in all aspects, not just psychic readings, which he's brilliant at, but in spiritual matters just as much. One of a kind. A teacher, a prophet, a trusted friend, a spiritual guide, a counselor, an accurate psychic reader, someone to listen, someone who gives the best advise. Psychic Christopher Golden is simply irreplaceable and to work with him is a life changing experience. I guess the key word here is effective. He brought me closer to someone I had fallen away from. He also provided comfort, and insight. Turned my life around, I'm grateful. Had to wait a while to finally get him on the phone but totally worth it. Solved my problem in one phone call. A+++ My new go-to guy. Has the answers no doubt. Speaking to a psychic like Christopher has opened my heart and lifted my spirits. I had a good feeling about him before we talked and that feeling was confirmed. He is able to tell you how to get the best possible outcome. I will be calling him again soon. Psychic Christopher Golden, God has sent you into my life. You have opened my heart and you have opened my partner's heart. The gifts you have come from God and you are truly a blessing. Thank you so much and God bless you. I am going to keep going back to Chris, over and over and over. Every time I feel like things are closing in on me, he gives me perspective and puts me back in touch with my own inner truth. And over time I have become stronger because of this. I feel I owe a lot of my success in my relationships and my career to Chris. I have been a repeat client of Psychic Christopher Golden. I've been reading a bunch of his reviews and decided to leave one of my own. I want to say that Chris has helped me get out of a rut and finally start living and loving again. And I am grateful and I want other people to know what it's like to work with him. Christopher is currently helping me and he does deliver the goods. I was initially suspicious of all of the glowing reviews as it made it sound like a late night informercial, however I understand why some sounded so "gushy". He works with you at your level, even if you become impatient, anxious, and have trouble following his instruction. Even though the price he charges seems high, in all honesty, there is no price that can be put on love and all of the work he does. He always gets back to you, while it never seems soon enough, because the business he's in involves a lot of emotion. Glad I found Chris. We have been working together for months towards my goal. One thing I will say for people considering working with him, without going into specifics: whatever happens, always stick with the plan Chris instructs to you. Trust me, this can be much more difficult than you think, especially at first, as it forces you to reprogram bad habits you might feel compelled to do during emotionally-challenging times. If Chris says he can help you (he is honest about that), then believe him, and trust him. Second, I cannot stress how expensive this can amount to if you don't stick to the plan. But, as they say, "You get what you pay for", and however busy Chris can be, he always stands behind his clients and is there to help them, and does the job. That said, the flipside of this issue is that Chris is indeed very, very busy. So, one of the many things I've learned, PATIENCE is the key to working with Chris. In an age of instant-gratification, this can also be difficult. But if Chris says he can help you, he can, and will. Just don't simply expect miracles, this isn't magic - do your part, he'll do his, and your goals will eventually come to pass. If you are considering this Journey, be ready, and above all remain dedicated and don't give up hope. You will grow, and discover things about yourself. Christopher helped me find my way back to love. He showed me how to restore the love in my life and the love for myself and others. He is a great spiritual teacher and an amazingly accurate psychic reader. I found Christopher and he has been helping me to sort my life out. I'm facing things I have buried for decades. This is a peak learning experience for me, for which I am grateful. Thanks. I have worked with Christopher for quite some time now and in all honesty, it has been the best thing I could do for myself. I came in with one motive and actually ended up getting so much more. I went to him during a time of crisis and I'm proud to say it has been adverted. He has been very kind and patient with me even at times when I didn't deserve it. I highly recommend Chris. To the man who helped me turned my life around, who was meant to be there for me at the right time and helped me see the light when all I can see was darkness in my life, I am sincerely grateful to you. You know I couldn't thank you enough for the positive transformation that is happening to me. Chris has helped me to be more loving not only to myself but to others as well:) There is much more to say but indeed my life has been much happier and at peace because of the guidance of Chris. He is truly one of the most genuine person I know and I am happy to recommend him to anyone seeking guidance towards the path of LOVE. Having spoken to Christopher now several times and corresponded with him, I will say that I am a believer and I have come to rely on his advice. I'm not easily won over, but the guidance he provides me with I can't find anywhere else. And I have looked high and low. He's the real thing. Wow. Totally exceeded my expectations. Was having troubles with an almost-breakup and Christopher totally stopped it from happening. Great advice into the whole situation. Felt like talking to an old friend, but also like talking to like a spiritual person. He knew what I do should and knew how to help me feel calm and positive. I wish I could afford to talk to him every day. I have been working with Chris since January. I presented him with a fairly difficult situation and he was able to see right through it. He has explained things, in good detail, that I have trouble explaining myself. Though I haven't had any results yet, I believe in him and the work that he does. He can be hard to get a hold of at times and we have had some scheduling mishaps, but he always corrects them. Definitely expensive but it all feels worth the wait and the cost. I hope to reunite with my ex soon and to give him the full praise he deserves. I have to admit I haven't followed his instructions 100% but he hasn't given up on me or the work we're doing. Chris is a great man. Trying hard every day to meet him in the middle. Wish I had his level of clarity on my situation! Psychic Christopher Golden is maybe the wisest person I have spoken to ever. His psychic insights about my past were dead-on. He also warned me about something in my future which turned out to be correct. I recommend him for anyone who wants more than just a psychic reading but is ready to take a deep look at their life. At the request of Christopher I am posting my positive experience here. I have worked with Christopher for probably longer than most of his clients. He is intelligent, warm, understanding, great listener, wise beyond his years and his psychic hits are right. He is by far the best psychic and spiritual adviser I have ever known. Until recently I had never heard of Psychic Christopher Golden. Glad I finally went with my gut and chose him. Pretty much blown away by most of what he told me and knew about me. It took nearly 3 weeks, but Chris did finally come through. So I'm happy to finally be writing this positive review. He said it would take 2 weeks and it took almost 3 weeks though to get my ex back. It also cost me 500 dollars. But in the end I got what I wanted. I wish he weren't so expensive though. Of all the psychics I've used this one is the best. I have been calling him a lot and he helped me get through a troubled holiday season. His advice worked and his energy is comforting. I was able to spend Christmas with my ex and I think we are probably going to get back together. If I had not contacted him I think I would have made a lot of mistakes and instead things are looking better for my family now. That was the most accurate, intriguing, fascinating and expensive psychic reading I think I've ever had. I like how this works here, with different psychics telling you what they offer and how much. I went with my gut and decided to be a little crazy and go with the one who was by far the most expensive. And I'm glad I did that. He is worth all of the hype I've read about him. He's the real deal and I thank you, Chris. You blew me away. Chris definitely works. I found a great psychic who was able to help me with a tragedy in my dating life. Chris is remarkable. Christopher is someone I contacted 7 weeks ago to help me to stop a divorce. I am happy to report that there is no longer any talk of divorce and my relationship is no longer on the rocks. I thank Chris for his commitment in helping to make that happen. WOW. My ex came back to me on Thanksgiving. I'm super impressed and delighted. Thanks Chris. You over delivered. Seems we talked for the first time recently. You did it. Christopher did what he said he could do, in the time he said he would do it. I am quite satisfied with the results. My experience was a positive one with Psychic Christopher Golden, or “Chris”. He said up to a month and within a few days my ex and I were talking on the phone. All said and done I think it took another 2 weeks before he left the person he left me for and came back. I continued to work with Chris on how to talk to him and reconcile without ending up back in the same patterns. I also needed Chris a lot in helping me to forgive. I didn't realize how angry I was until we got back together so he really helped me not to blow it. The waiting is the hardest part. He told me some cases take months. I've had two phone sessions with Christopher so far. I only paid for 20 minutes, but he stayed on the phone longer. If he didn't know an answer, he would simply say I don't know. He is honest and he actually seems more concerned with helping you make a transformation rather than making sure you like him. He knows things about you and your situation that are not just general "common sense guesses." I think he is excellent! Psychic Christopher Golden: Thoughtful, accurate, patient (spent more time on the phone with me than I paid for and answered all my questions), insightful, personable, wise, funny, kind. What more could I ask for in a psychic? Chris is the best of the best. I'm so glad I didn't waste any more money on love spells. He really helped me with what I really wanted and that was to get my ex back. Done. Bravo. Thanks, Chris. You're the best. Psychic Christopher Golden really helped me allot. I had some feelings for a friend that I could not sort out. There was no one I could talk to. He showed me how to listen to my heart. He really helped. He is amazing. There was an article and there's where I found him. He was intriguing. I made several appointments over the past year of so and I wanted to say that Chris changed my, like he said he would, from the inside out. I went to him to fix a love relationship and what I got was so much more. Chris has given me everything. Bravo! Everything he said turned out right, turned out to be true... he got me straightened out and stuff... Accurate... I worked with him over a period of time... did what he said he could and would do... However... I do think that this work is expensive don't get me wrong... worth every penny... just wish it were not costing so much... got me my ex back so, who cares right? Chris is absolutely amazing! I have been having some trouble in my life and needed some guidance. After initially contacting him over email I decided to book an appointment. I was not disappointed. Chris advice and insight were nonjudgmental and very positive. I truly believe that I'm doing better in my life because of him. I have visited a number of psychics and I have always felt a little uneasy about some of them, but Psychic Christopher Golden has really made a difference in my life! He is such a genuine and humble person! I recommend anyone to visit him to get an amazing boost of energy or even a small spiritual uplift that you may need. His warmth and understanding are second to none and I will definitely be back to visit him soon! I have been speaking to Christopher on a monthly basis for nearly four months. He is a great listener and is very down to earth. I feel very connected to him when we talk. I always look forward to our talks, because I learn something new and he is so insightful. His accuracy is phenomenal. I've been to a few different psychics, and after talking to Chris I knew I had found my go-to psychic for life. I don't need to shop around for psychics anymore. Most of those others are fakes, but he is the real deal. I'll be sticking with him for sure. Psychic Christopher Golden reading was scary accurate...it took me aback. I'm gonna have to call him again to learn more. He is really a grounded guy, I can't believe he has such crazy abilities. All good with Chris. He is a super psychic, and I talk to him on regular basis as far as my schedule will allow. So useful in so many ways. Psychic Christopher helped me to reunite with my ex-boyfriend. I had two sessions with him, and I followed his advice. About two weeks after our second session, my boyfriend and I were reunited. That was a month ago, and we are still doing well. I rate Chris very highly. I called him because I wanted to get my ex girlfriend back. He gave me advice and exercises to do, and I did exactly as he said. I had a follow-up call with him to assess my progress and ensure I was doing everything as specified. Sure enough, I was doing great, and a week after my second call with him, my ex texted me! I was truly amazed. I had another call with him to find out what I should do next. Again, I followed his advice, and, long story short, my ex and I are back together. I definitely would recommend Psychic Christopher Golden to a anyone. Happened to be going through a difficult breakup, and read that Christopher could help me get my ex back, so I gave it a shot. I followed his advice exactly, and within two weeks my ex called me and asked if she could see me again. We are back together now, and happier than ever. Overall, I think his advice made me a better person and the law of attraction was at work. Christopher wowed me with his psychic skills. He is such a down to earth guy, and at the same time, he has these amazing abilities that just blow you away. I don't know how he does it. I needed relationship advice and that is not something I would normally go to a psychic for, but I didn't know where else to turn. I am really happy that I chose him - he put me at ease and guided me toward the solution that I needed. First found “Chris” (Psychic Christopher Golden) on November 1st (I remember, because it was right after Halloween), and then I called him on November 4th. I have spoken to him one other time since then, which was two weeks ago. I have been speaking to Chris about some relationship issues, and he is helping me work through them. It really is amazing how much he intuitively knows about me, and how right he has been. Perfectly accurate, beyond belief. I am still sort of in shock. Psychic Christopher Golden in "Top 100 Psychics"
PLEASE READ THIS: California Online Privacy Protection Act Compliance: We promise 100% privacy. We understand the discreet nature of our clients personal lives. We have taken the necessary precautions to be in compliance with the California Online Privacy Protection Act. We therefore will not distribute your personal information to outside parties, under any circumstances. You must be 18 years or over to use this service. Donations are voluntary. Individual results vary. All advice given is based on deeply held religious convictions. Donations are not payments for specific results. No refunds are given under any conditions. We are not responsible for your thoughts or actions, or how they affect the outcome of your life. Pictures are stock photos and names are spiritual names. All offers are void where prohibited or restricted. Services are based on the religion of Advaita Vedanta and your rights to use services are protected under the Religious Freedom Restoration Act of 1993 and the International Religious Freedom Act of 1998 (H.R.2431). Your usage of these services constitutes a spiritual endeavor and no guarantees or warranties are made, expressed, or implied as to the results of these spiritual endeavors, whether made by you or us. By making a donation, at any time, you agree to these terms and conditions. We will connect with the world of Spirit to gain insight into your situation. Readings provided are for information only. What you decide to do with the information given to you, including any actions you take, is a matter of your own personal responsibility and choice. All readings and questions answered should at no time be regarded as legal, medical, financial, psychological or business fact and are subject to your own interpretation and judgment. Our services are not a substitute for professional services and it is advised that you should seek advice from the relevant qualified expert.